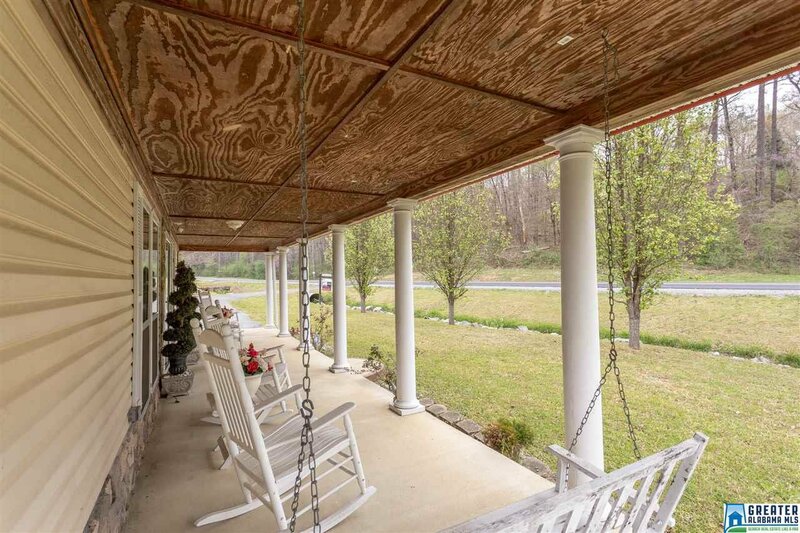 Country Living at it Finest! 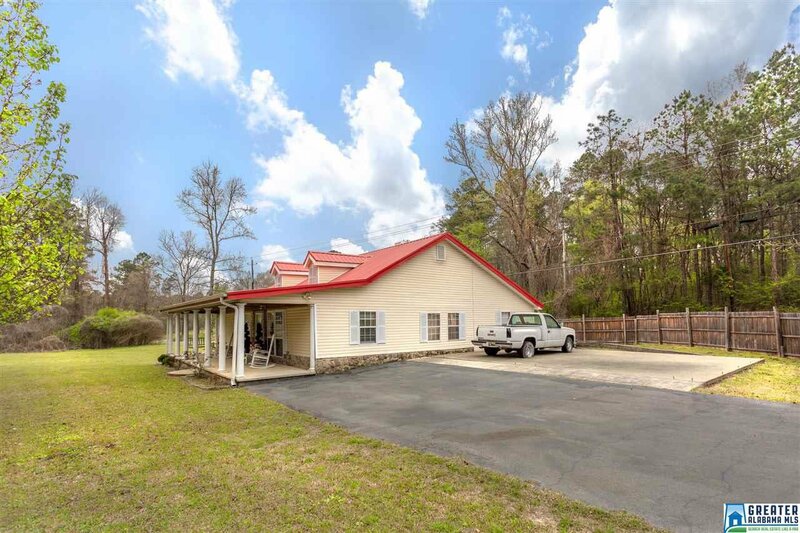 1 acre in Moody! 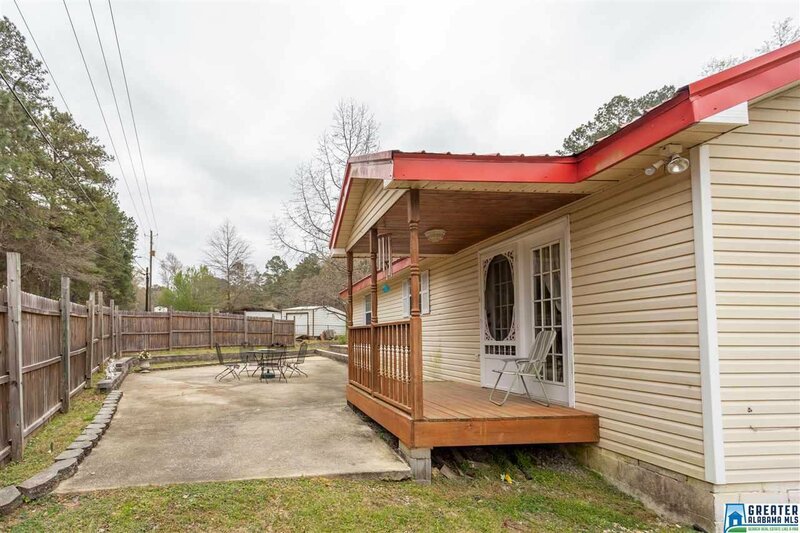 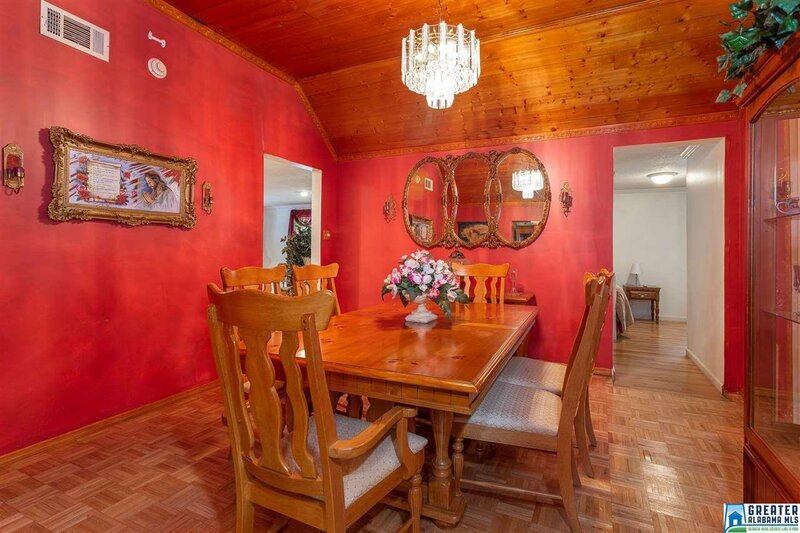 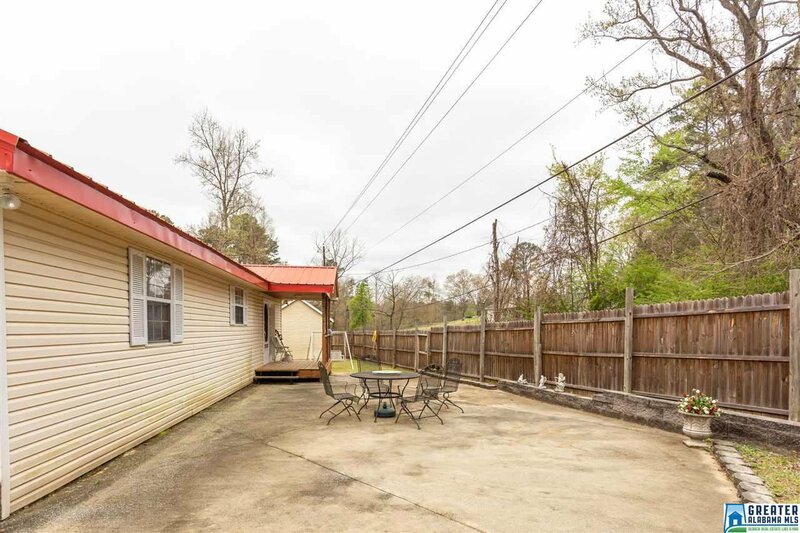 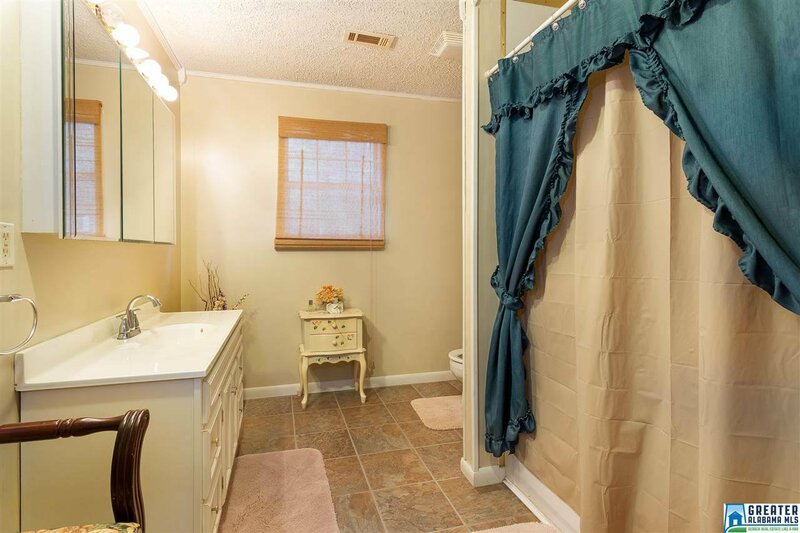 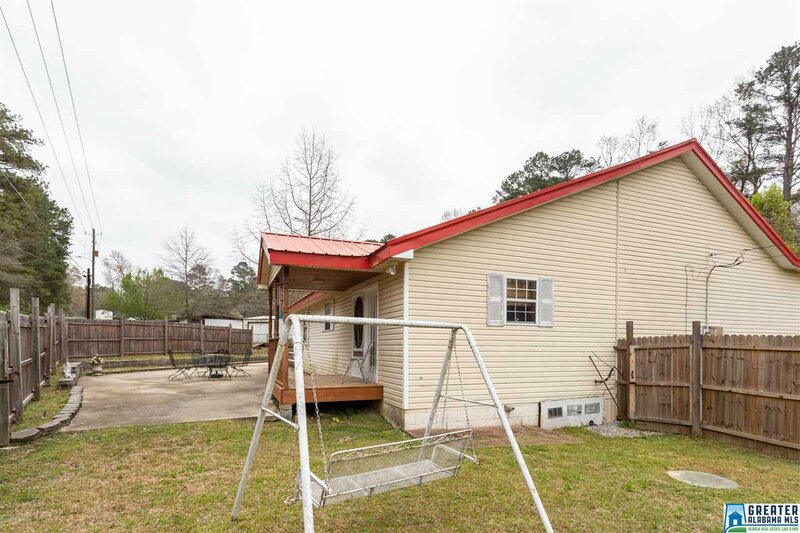 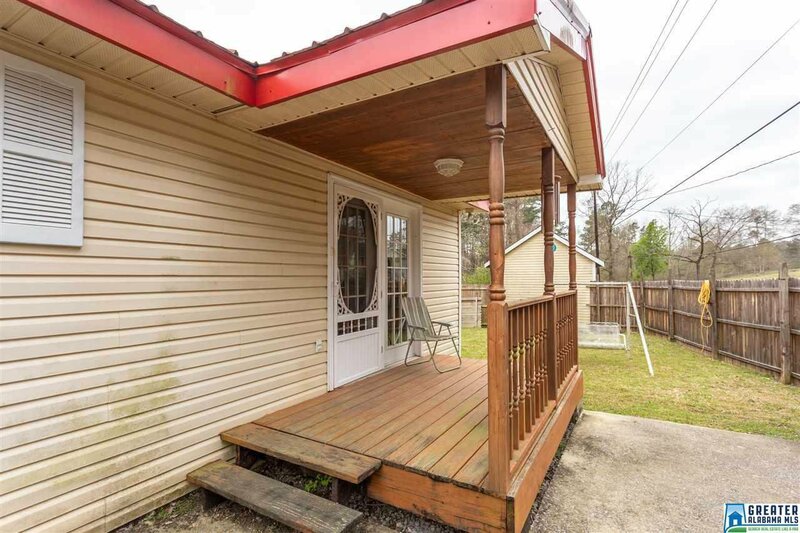 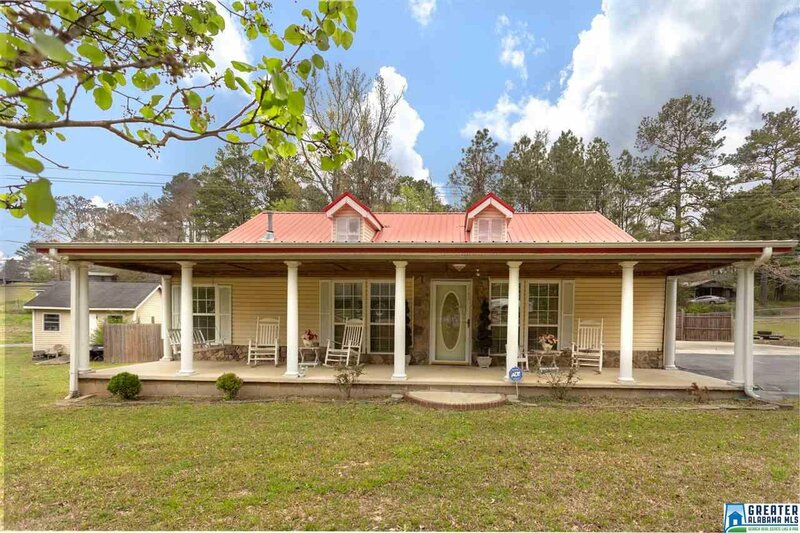 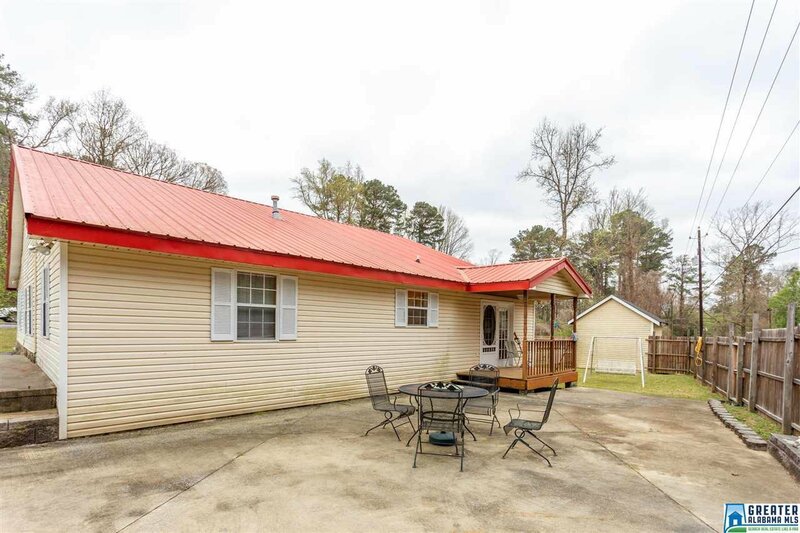 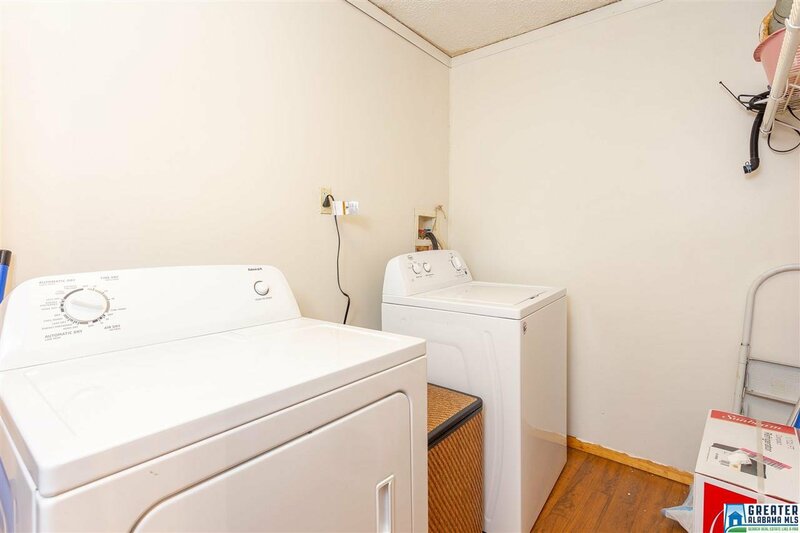 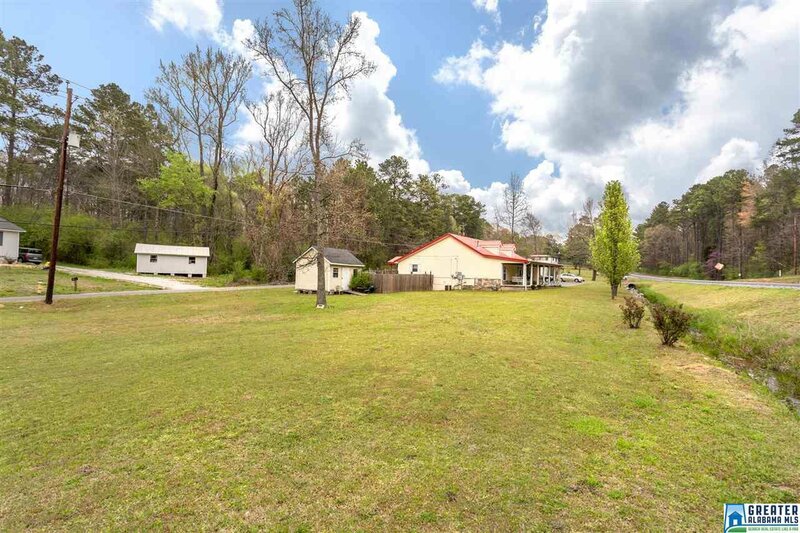 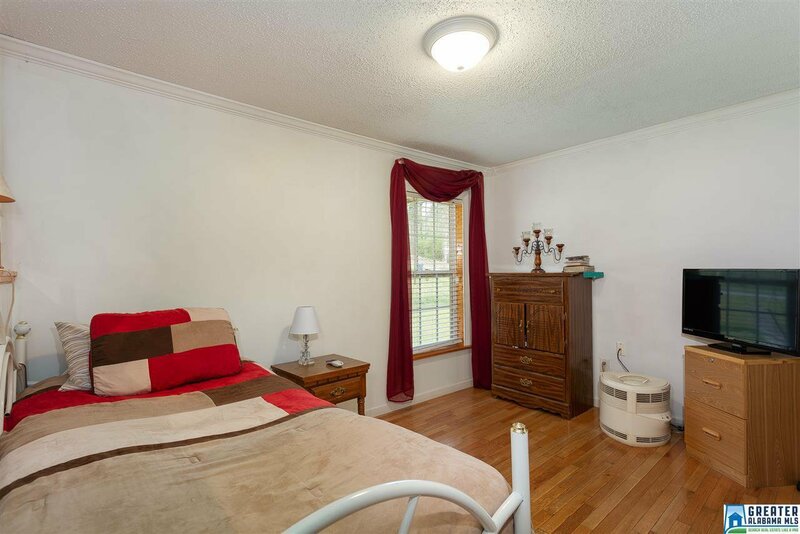 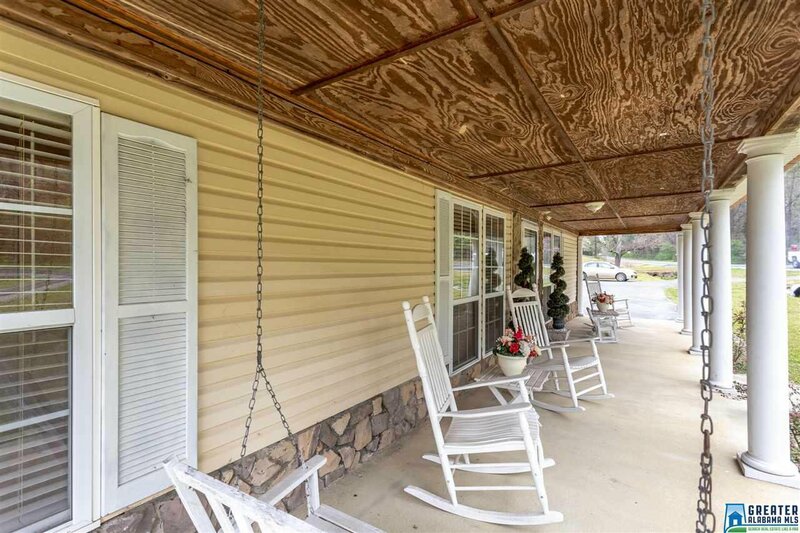 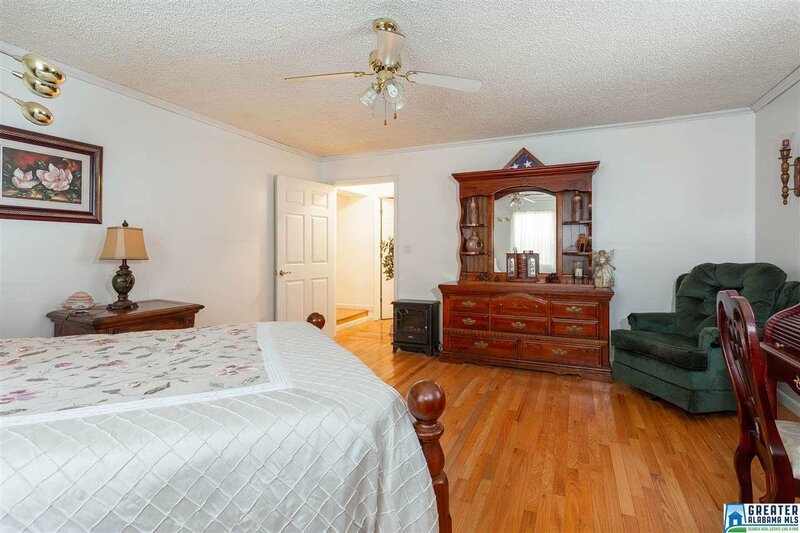 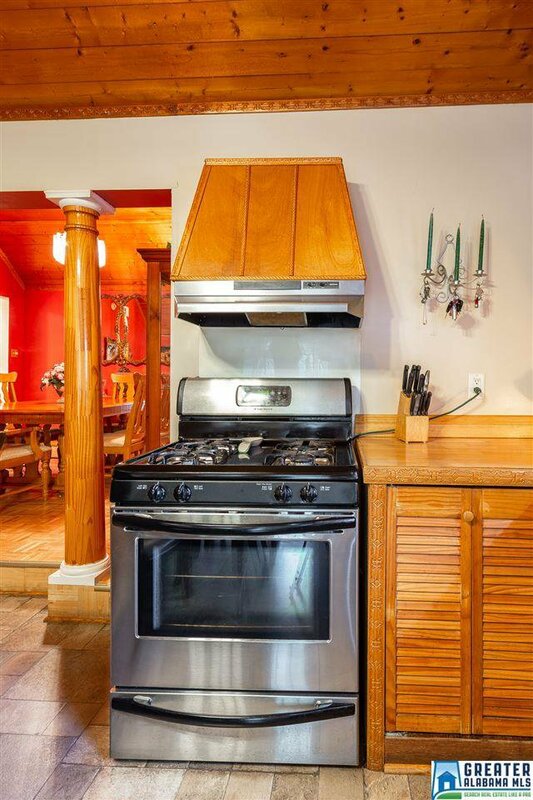 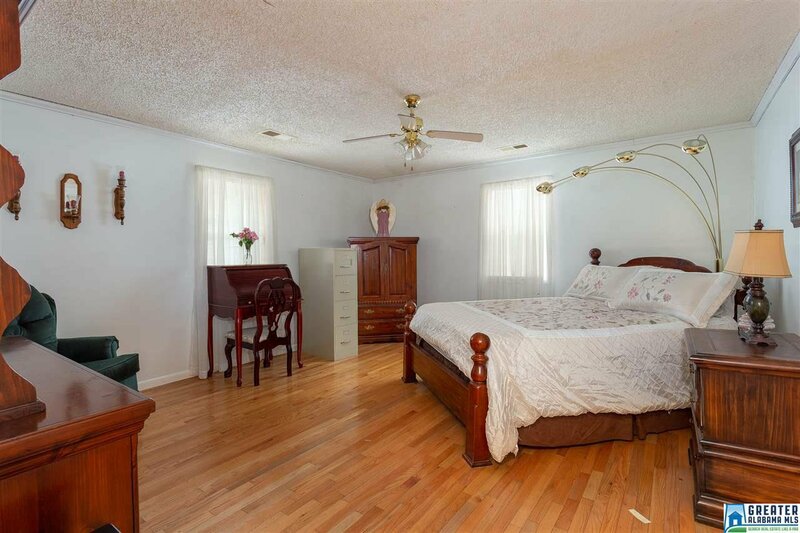 This 2 bedroom (possible 3) 1 bath Farmhouse is all on one level, 1800+/- sq ft. Beautiful pine vaulted ceilings in the formal dining room with wooden columns and parquet floors. 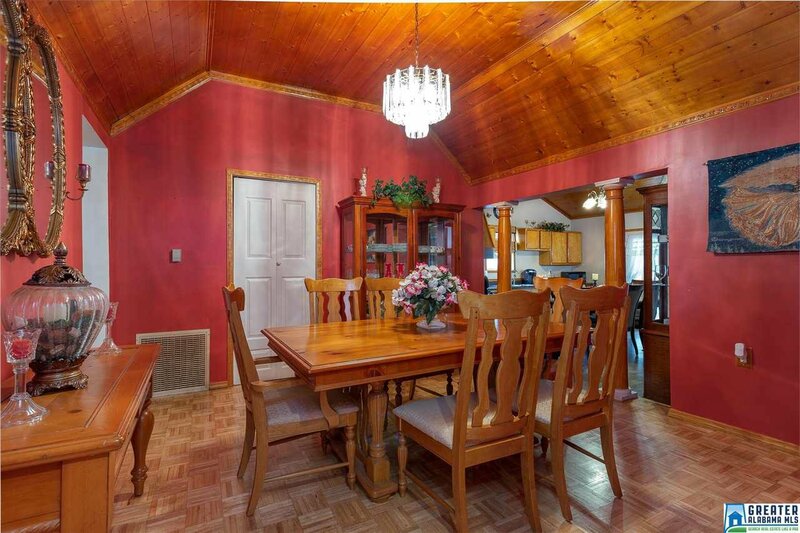 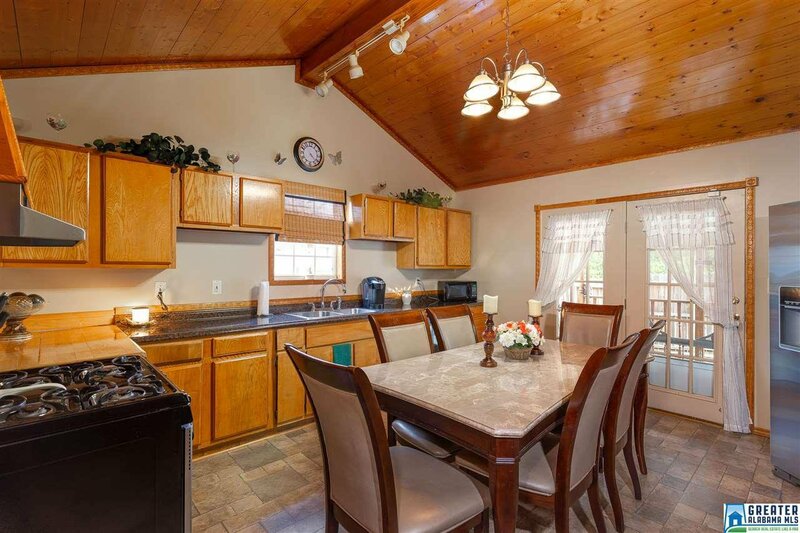 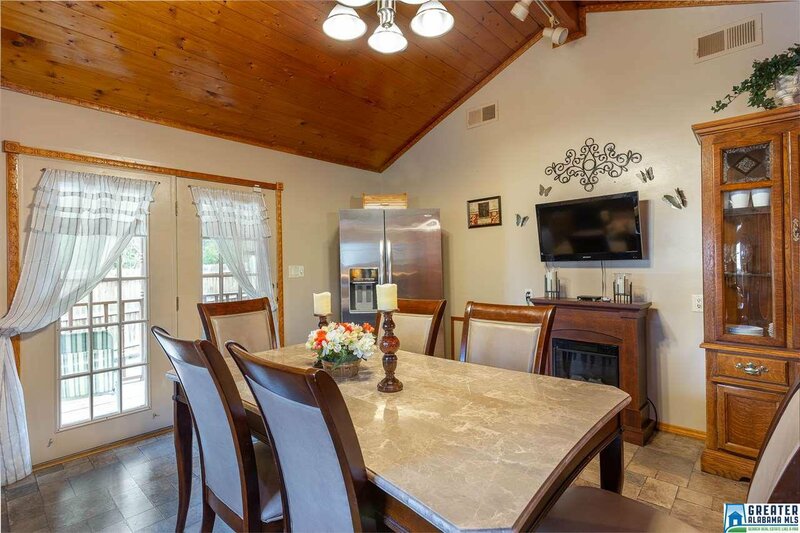 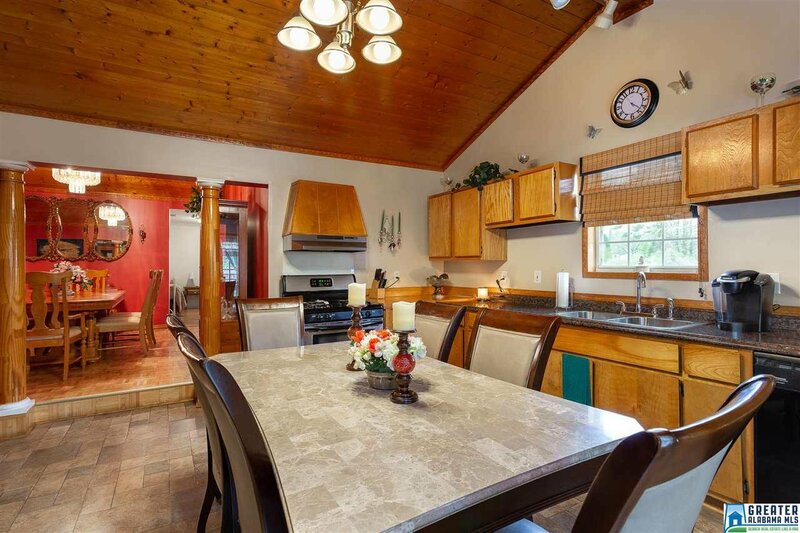 Kitchen also has pine vaulted ceilings and lots of space with eat in area and french doors to a covered deck. 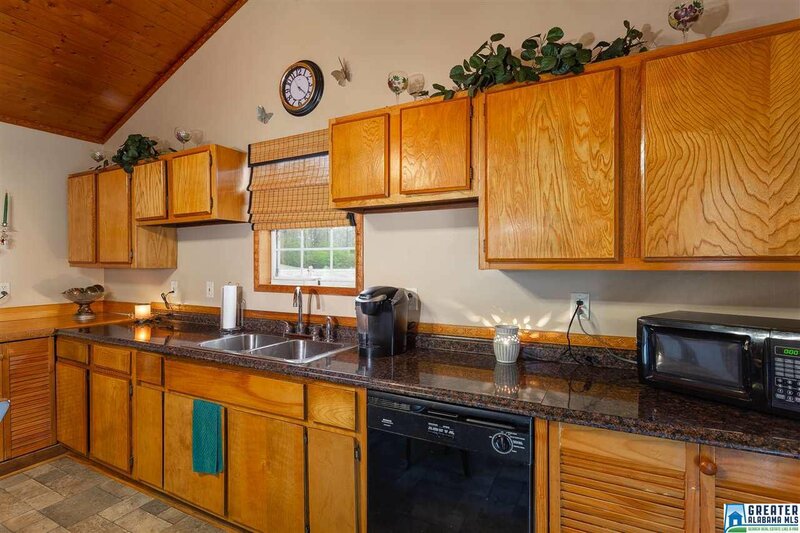 Kitchen has tons of cabinets and stainless/black appliances. 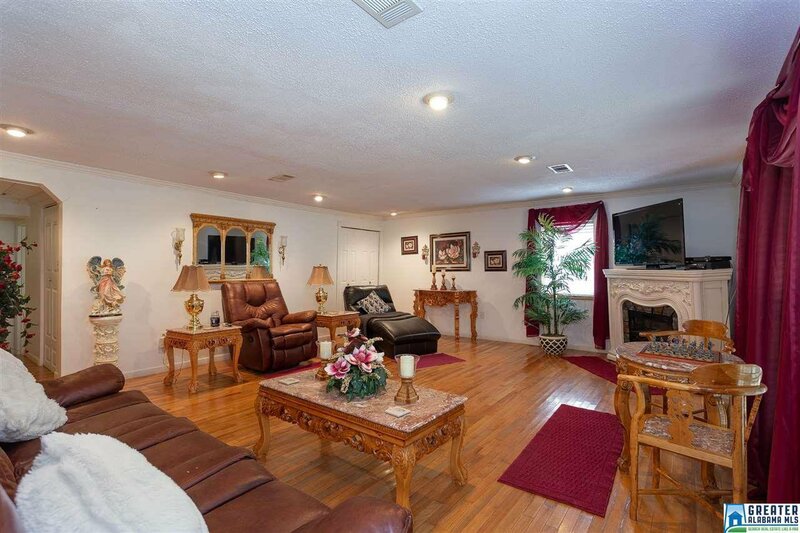 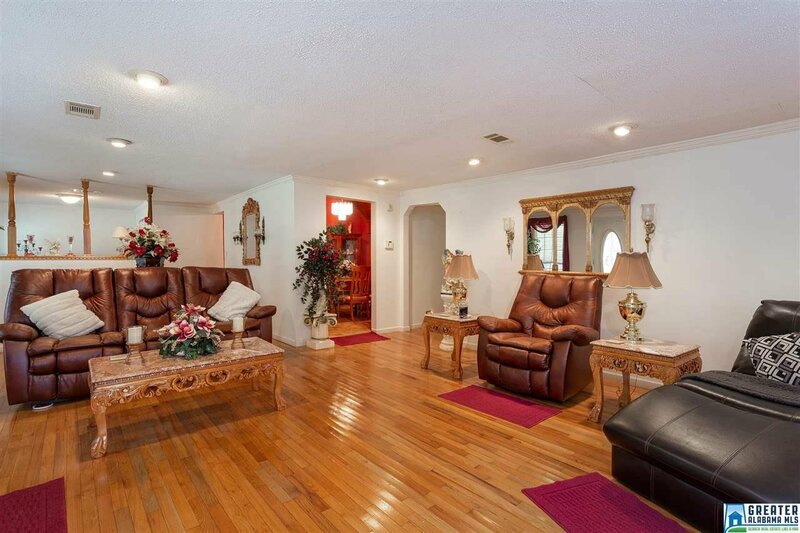 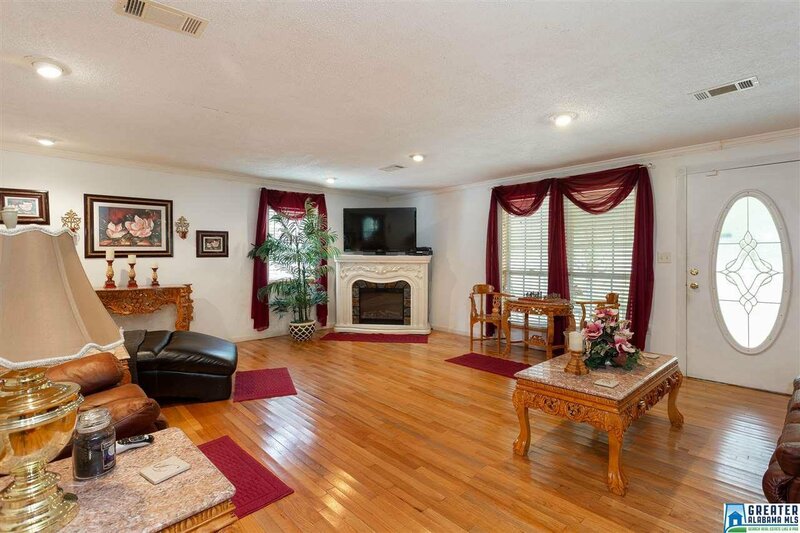 Over sized living room has lots of space and hardwood floors, neutral paint. 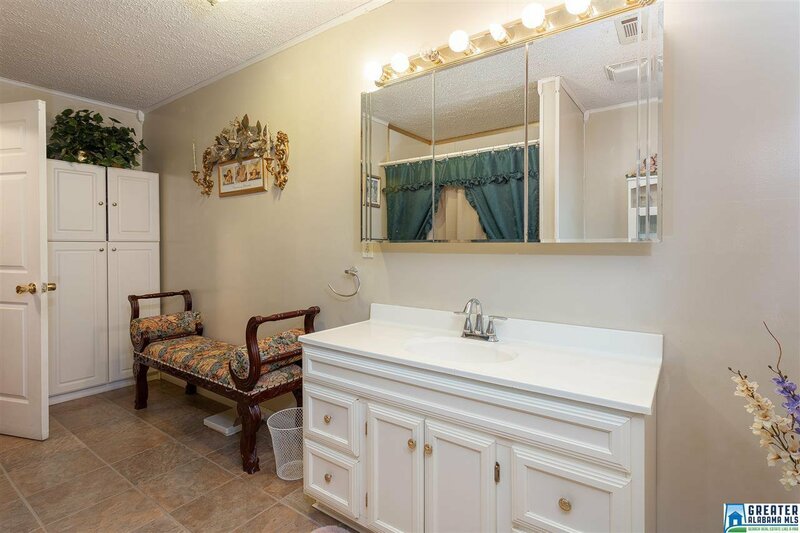 Two huge walk in closets are a plus at this house! 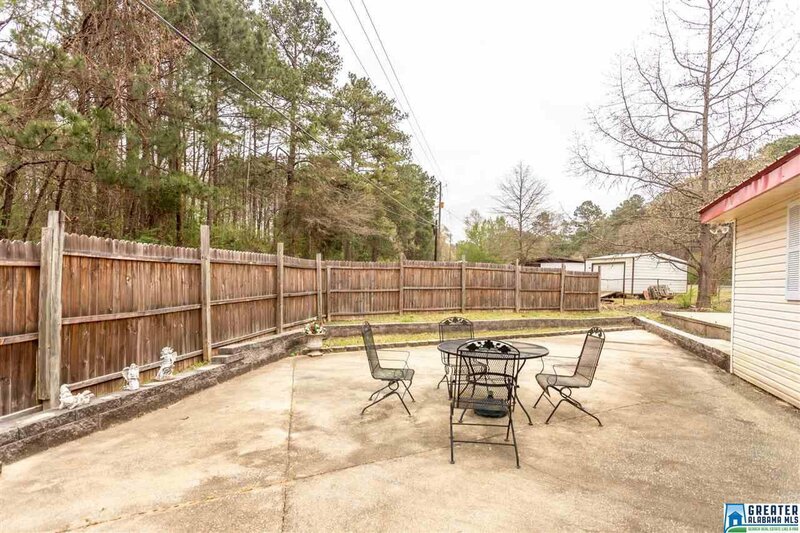 Large patio area in backyard. 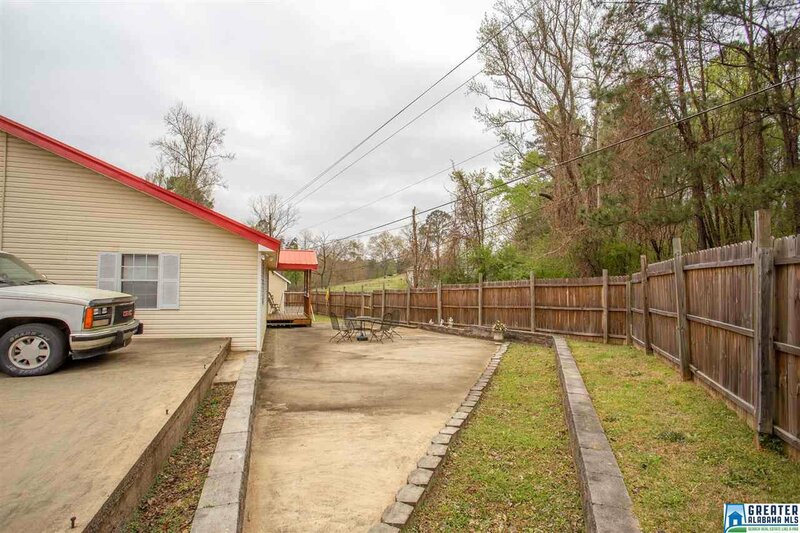 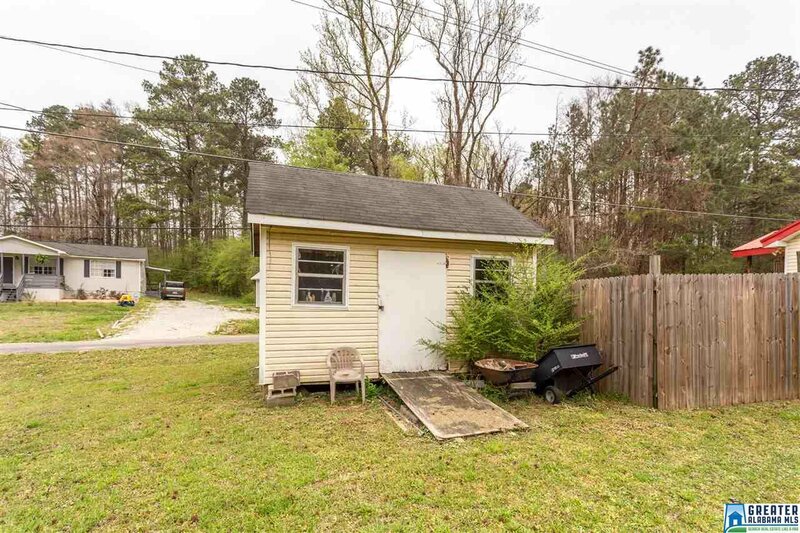 Seller has concrete pad for future garage and a Storage building too. 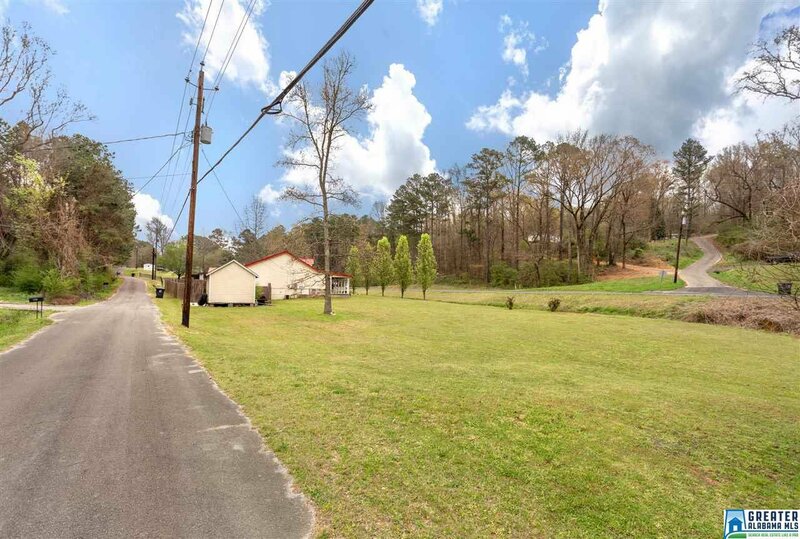 Driveway is on Park Ave, mailbox is on Fairview Dr.